With the advent of smartphone technology, making music has become easier as you can now make your own music from the palm of your hands. If you have an Android phone or tablet and wanting to create music with your device, the Google Play Store has an abundance of music making apps to choose from. Whether a budding musician or a seasoned pro, these apps are made just for you. Here are ten best Android music making apps to unleash your talent and bring out the musician in you. 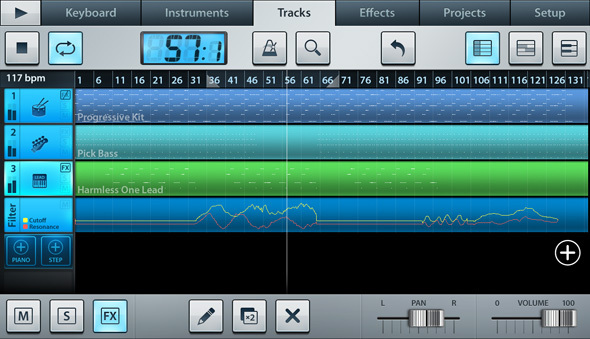 Music Maker Jam is one of most widely used application for making music on Android. This app lets users create their own tracks using various loops, beats and other instrumental sources. It has more than 100 music styles (such as hip hop, dubstep, rock, funk, trap, drum & bass, techno, house, ambient, jazz, etc) and an 8-channel mixer that allows you to mix songs and add effects to songs. 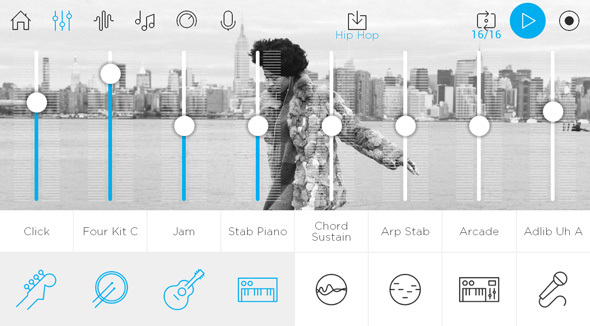 With Music Maker Jam, you can remix tracks by simply shaking your device. You can also use the loop selector to combine music styles. It has thousands of professional loops to choose from. There is also a voice recording feature that lets you record your own voice. Music Maker Jam can be downloaded for free at the Google Play store. It offers in-app purchases such as additional libraries of loops. Fl Studio mobile is a complete music composer that allows you to create multi-track projects on your Android device. The app packs everything you need to create music, including a step sequencer, piano roll, keyboard, drum pad, track editor, effects and more than a hundred sampled instruments. It comes with real-time effects that include EQ, Delay, Reverb, Limiter, Filter and Amp for enhancing your mix. It also has wave editor which can normalize, cut, trim, insert silence, reverse, fade in or fade out waves. You can save your songs to WAV, MIDI and AAC, and moreover, you can share your songs via Dropbox or Email. Caustic 3 is a free android music making app that combines synthesizers and samplers to create your own songs. With Caustic 3 you have a choice of 14 Synths to create your custom sound, including Beatbox, Organ, Modular, SubSynth, FMSynth, 8BitSynth, PCMSynth, PadSynth, Bassline, Vocoder and KSSynth. 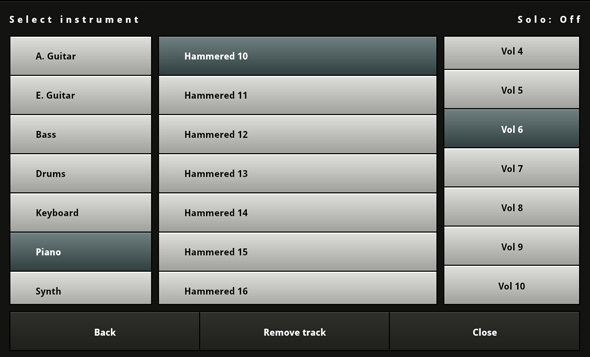 The app also includes mixer desk with global Delay/Reverb effects, Master section with parametric EQ and limiter. Files are stored on a user-accessible storage. You can use your WAV files in the BeatBox, PCMSynth and Vocoder. This free version comes with an in-app help section. You can use the free version as long as you want but it has limited features. You can purchase the Caustic Unlock Key which gives you full access to all great features of this app. Audio Evolution Mobile Studio is a powerful music making app for Android. This app lets you record sound and can create interesting loops to mix in different tracks. There are tons of effects that you can add to your tracks. It has over 25 real-time effects like chorus, compressor, delay, dual delay, reverse delay, reverb, flanger, noise gate, etc. Musicians and DJs can mix down their original works to a high quality stereo sample or an Internet-friendly, compressed format. It also has additional features like MIDI sequencing, Metronome, cross fade, automation, time stretching and normalization, Sample rate conversion, and many more. Once done, you can export your results and share files with social networks. 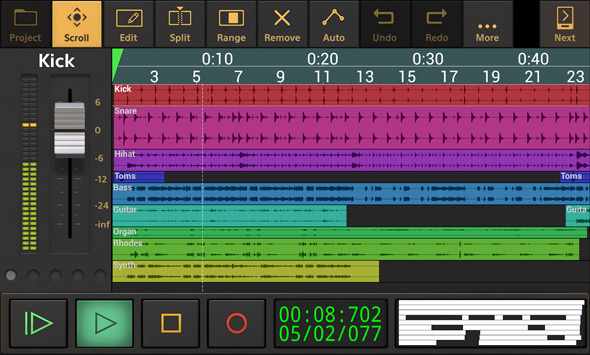 SunVox is another powerful music creation tool for Android. 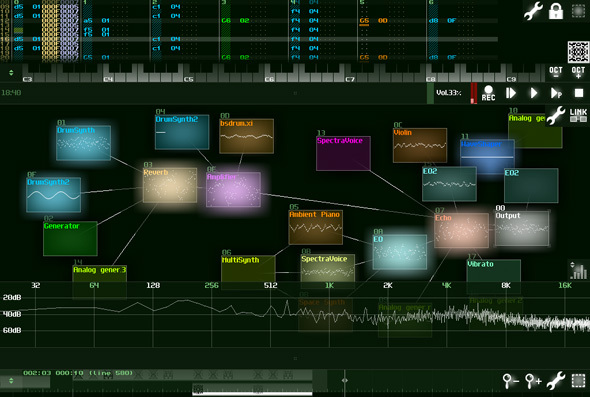 It is a tool for complex composition which not only enables the sequencing but also provide several filters and effects in a system of modular layers. The effects include a drum synth with over 120 unique sounds, a SpectraVoice synth for FFT-based music creation, and many multiple effects modules. Each of them include modules sounds warm and professional, making it simple to create studio quality songs. It also supports multitrack WAV export, MIDI import and export, mic or line recording, and other real-time recording capabilities. Chordbot Pro is a useful tool for songwriters. It can be used to try out simple or complex chord progressions. You could also use it to experiment and create different chord progressions and then play them back so that you know how they actually sound. To create a progression, simply select a chord, comping style, and tempo and then hit the “play” button. This app has 30 comping styles and more than 50 chord types for transpositions. Once you’re done with your output, you can export it to a WAV or MIDI file. There is also a Lite version available for free so you can try out some limited functionality. 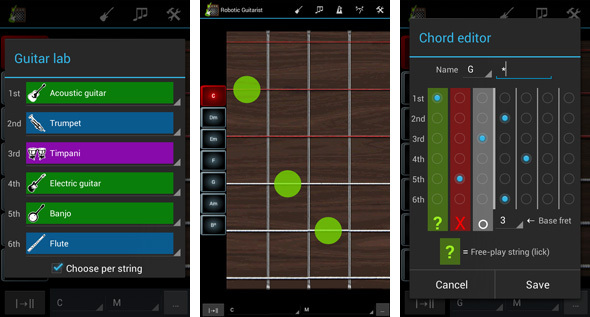 Robotic Guitarist is a virtual guitar and chord guide for your Android device. Its chord guide has an easy-to-use interface that allows you to change chords as you play. Choose a chord without having to learn finger positions and just hit the strings to get sounds recorded from real instruments. Robotic Guitarist will show you a diagram with finger positions for any chord you’ve played. This is very useful for learners or those who need to recall a chord. You can choose between acoustic or electric guitar, piano, violin or harp and map them to the whole guitar, or even pick a different one for each string! 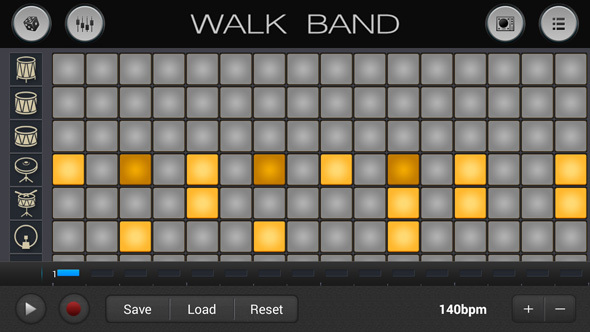 Walk band is an Android app that gives you a portable band right inside your pocket. It offers many instruments including Piano, Drum Kit, Drum Machine, Guitar, Bass. All instruments use the realistic instrument sounds. The app also has seventy pre-loaded songs that you can try to play. With this app, you can record multitracks on different instruments and also merge different tracks of a certain instrument to a single track. 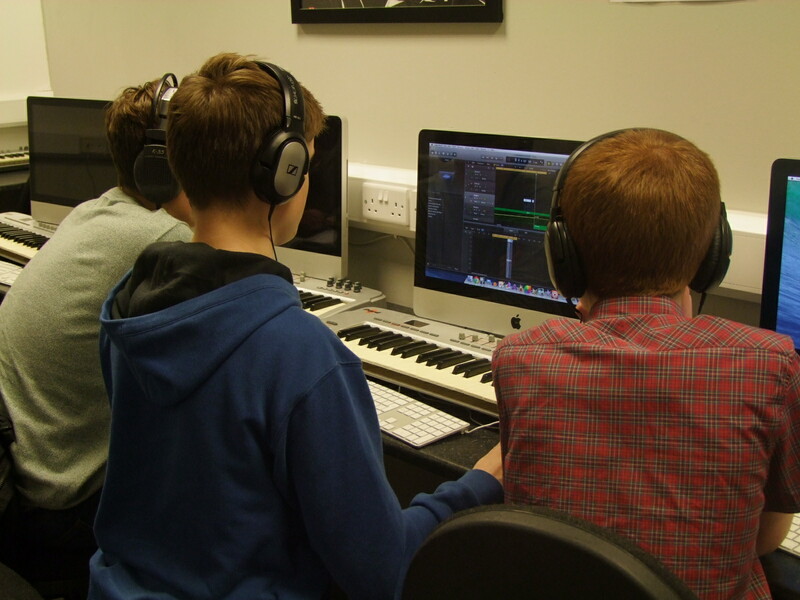 Moreover, you can use an original recording as a basis to record on another instrument too. Other features include multiple finger support, Convert MIDI to MP3, External MIDI Keyboard over USB supported, upload and share your music recordings, and many more. Nanoloop is a full-featured music-making app that provides all functionality you need to create nice electronic music. You can compose your own arrangement of electronic music to play at parties, publish on the Internet or save it to your personal collection. 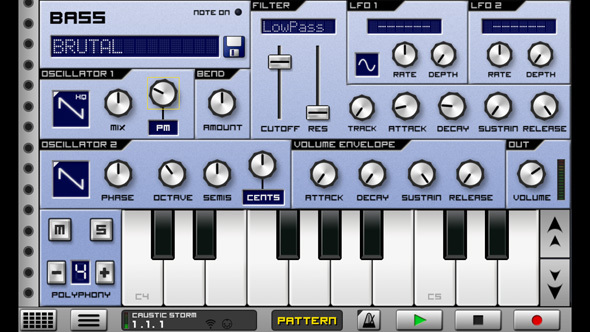 Nanoloop offers the possibility of up to six active channels, which can be synth or sampler. In each channel, you can create up to eight patterns for two instruments differ, which can be sequenced directly from the application. Nanoloop also allows project sharing in Dropbox and SoundCloud. 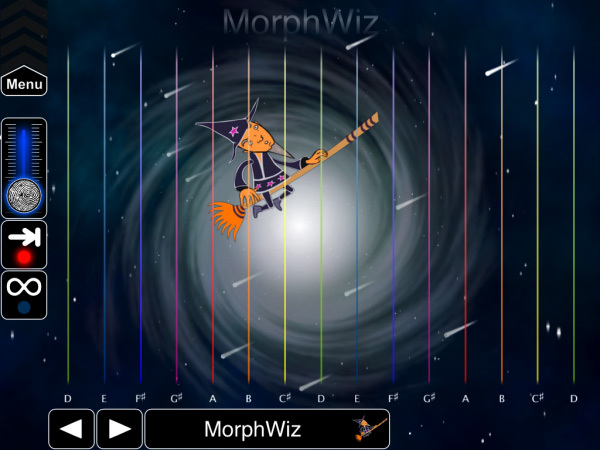 MorphWiz Play is another great app for music makers. This app turns your Android device into a synthesizer that can play different sounds, effects and everything you would expect including performing vibrato with your fingers.